(Opinion) The Alabama Legislature is considering legislation that would change the way civil asset forfeitures are handled in Alabama. 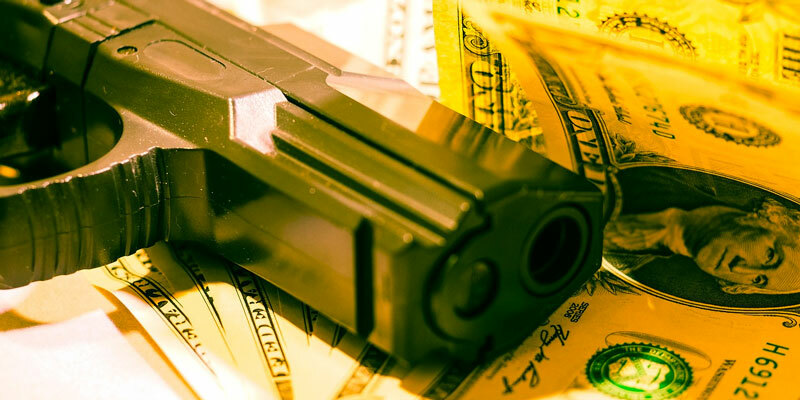 While well-meaning, some of the proposed changes would essentially gut what is an effective crime-fighting tool while making it easier for drug dealers and other criminals to hang on to their ill-gotten gains. The result would be more crime. Unfortunately, several special interest groups have pushed a narrative that law enforcement –police, sheriffs and other authorities – are using civil asset forfeiture to unfairly take money and property from innocent Alabamians. That narrative is false. Law enforcement uses civil asset forfeiture only to go after criminals, and state law already guarantees a process that is clear and fair for any person to challenge forfeiture in court. State law also provides built-in safeguards that protect the property of those who have committed no crime. What is civil asset forfeiture and why is it necessary? First and foremost, civil asset forfeiture is a crime-fighting tool. It is used to both deprive criminals of the ill-gotten gains of crimes like drug-dealing and attack the means by which these crimes are committed. Consider, for example, money seized in a drug raid. Drug dealers trade in cash. Not only do dealers sell their drugs for cash, they also use this cash to buy drugs from their suppliers. Taking just a few thousand dollars in drug money off the street means there is less money to buy drugs and, thus, less drugs being sold. But it is also important to prevent criminals from enjoying the fruits of their crime. We know drug money as well as cash derived from the sale of stolen goods are used to buy vehicles, guns, houses, jewelry and other items. It makes no sense to allow those who traffic in crime to keep the proceeds of their crimes. That would reward criminality. It is critical that civil asset forfeiture remains a staple in the crime-fighting toolbox. Here are some important facts to keep in mind. Law enforcement and prosecutors can’t go after property unless it can be shown it was used in a crime, was gained through criminal action or bought with the proceeds of a crime. Alabama law lays out a clear process that prosecutors must follow in going after a criminal’s assets and an easy process for people to challenge the forfeiture. More important, no asset can be forfeited in state court without the approval of a judge who weighs evidence both for and against forfeiture. Even in cases in which the property owner doesn’t contest the forfeiture, a judge must still sign off on it. These proceedings begin with public document filings in circuit court and are disposed of in an open and public forum, with all proceeds subject to audit. In fact, the procedures used in civil forfeitures are the same as those used in every civil lawsuit filed in Alabama. If there is something fundamentally wrong with the way we handle civil forfeitures, then there is also something fundamentally wrong with the way all lawsuits are handled. Two changes to the state’s civil forfeiture law are especially concerning to DAs and law enforcement. One would allow forfeiture only if there is a criminal conviction; the other would require that any proceeds from forfeitures go to the state’s General Fund rather than local law enforcement. Though these changes may sound good, they would hurt public safety and make civil forfeiture less fair. Meanwhile, sending the proceeds of forfeiture to the state’s General Fund would result in fewer busts of drug and stolen property rings. What incentive would local police and sheriffs have to invest manpower, resources and time in these operations if they don’t receive proceeds to cover their costs? Prosecutors and law enforcement take issue with other parts of the proposed legislation. Alabama passed meaningful asset forfeiture reform in 2014 that strengthened safeguards and built on existing due process protections for criminal defendants, innocent owners and bona fide lienholders. We are always willing to work with lawmakers to strengthen Alabama’s laws to fight crime and protect our citizens. Calhoun County District Attorney Brian McVeigh is president of the Alabama District Attorneys Association. Coffee County Sheriff Dave Sutton is president of the Alabama Sheriffs Association.